Empire of Deception, a finalist for the Hilary Weston Writers’ Trust Prize for Nonfiction and written by Dean Jobb, is a cautionary tale documenting the life of an infamous swindler stock promoter, Leo Koretz. He ran a bigger Ponzi scheme than Charles Ponzi himself after deceiving the financial world in Chicago, and then New York. While Koretz was unquestionably a sociopath to one degree or another, the story of his life is far more than simply the scam he ran. It serves as a reminder that even the brightest minds can be swayed and deceived, but also that ethics typically don’t disappear overnight; rather, they slowly erode over time. Much like the lesson taught in the Overton Window, perception of right and wrong, lying and story telling, can change with circumstances. 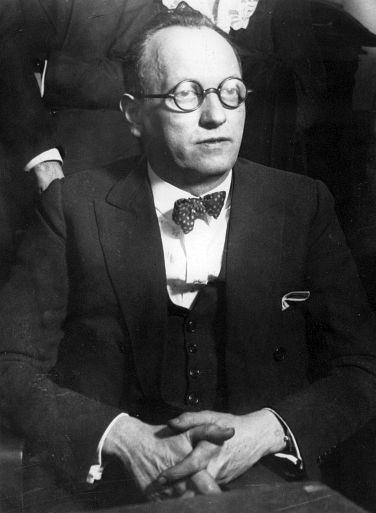 Leo Koretz stole over $30 million from investors in the 1920s – today’s equivalent of around $400 million. He swindled in a time when regulations were minimal, politicians were as corrupt as ever, the stock market was roaring, and America was booming with the advent of Model Ts for the everyday Joe. Koretz was a lawyer by trade, but a scammer at heart. Taking shortcuts in life was his M.O. And what started out as a small mortgage scam turned into a massive Ponzi scheme. Leo sold shares in his Panamanian oil company, boasting of huge production numbers, despite literally having nothing but leases to useless swampland in the Central American country… he used the opening of the Panama Canal to capture the imaginations, and greed, of unsuspecting people; and he story told of the endless possibilities it would bring for early-bird investors. Needless to say, it didn’t end well for Koretz or his investors. However, there are a few good reminders for all of us in Empire and Deception which I want to share. If it sounds too good to be true, it is: Nothing is without risk. And when the advertised reward potential is high, the risk is amplified. Investors in Leo Koretz’s scam forgot this, largely because he had such a solid reputation in the finance world (Ponzi schemes typically start off well and early investors evangelize their investment because the swindler can easily pay dividends when he only owes a few people). Leo had the fancy suits, charisma, and an office in the famous Drake Hotel… the whole nine. But even when red flags popped up – like the fact no one ever saw the company’s financials – investors ignored them and followed the crowd. Lemmings. Sony masterfully launched the Playstation 4 with a similar approach. When launching their new console, they intentionally built fewer units than the market demanded. This created a buzz around the product. Few could get one, thus drawing in attention from consumers who otherwise may have just bought an Xbox. Integrity erodes over time: Unless raised by scammers, most of us are good folks, with sound understanding of other people’s feelings. However, crossing the line, and even breaking the law, without consequence can desensitize some people, and they lose all care for other people’s well being. This was Koretz to a T. Also, if you start hanging out with those who like to operate in the ‘grey area’ you too may find yourself in that shady spot. Even the behaviour of others who you hang out with frequently can rub off. Point is, be cognizant of your actions, words, people you hang out with and general behaviour. He became a mortgage fraudster and then went to the next level by starting a fake oil company people could ‘invest’ in. In other words, he stole a small amount, stole some more, then stole a monstrous amount. Envy and admiration are toxic: Koretz envied the rich. He was grossly materialistic. His envy and vanity were the end of him. They were the motivation behind his scams, affairs and lying to his family. Empire of Deception was a surprisingly entertaining read. It was one of those book purchases made while aimlessly walking through Indigo. It had a Canadian spin, so I bought it and gave it a read. Well worth it. True story, but has the story line of a great fiction novel. Pick up your copy here. P.S. Subscribe to my newsletter below to learn about fascinating stories in the entrepreneurial world. Only my best content will land in your inbox.